So you visited and fell in love with Salt Spring Island - and now you've decided to move here. Welcome to the club! A Hospital - with a small emergency department. Daycare: There are a few daycares on Salt Spring Island including Treefrog Daycare in Fulford, Salt Spring Cooperative Preschool Society in Ganges and The Little Red Schoolhouse Preschool next to Beaver Point Hall in the south end. Family Friendly Salt Spring: The Family Place in Ganges located behind the Community Centre provides a "hub" for early childhood services on Salt Spring, and is a great place to research the right daycare for you and Salt Spring HOP is a website full of Family & Child Friendly Hoppenings on Salt Spring Island! Salt Spring's new library - located on McPhillips Avenue in Ganges. 3 Banks - Island Savings Credit Union (includes insurance, mortgages, investments), CIBC and BMO. An optician and a separate glasses frames & fittings store. 2 Vets, the main one being Gulf Islands Veterinary Clinic on Lower Ganges Road. Insurance Agencies - Sea First Insurance and insurance and mortgage services in the Island Savings Credit Union. 4 village communities - Ganges, Fulford, Vesuvius & Fernwood. 3 Ferry Terminals - Ganges, Fulford & Vesuvius. 2 Supermarkets - Thrifty's in Ganges Town Centre and Country Grocer in the Upper Village. Also Natureworks Food & Health Store. In the south end, there is the Salt Spring Mercantile for your smaller day-to-day grocery needs. The Opportunity Salt Spring website has a wealth of useful information about living and working on Salt Spring. Our very own "Craigs List" in the form of The Salt Spring Exchange! Many of the CRD administrative functions for Salt Spring Island are handled from the local Salt Spring office including Parks & Recreation, Transit and Transportation, Drinking Water, Emergency Services, Emergency Preparedness, Waste & Recycling, Building Inspections and Bylaw Enforcement. Community planning and land use decisions are made by The Salt Spring Islands Trust. Check out our Official Community Plan (OCP) to learn more about the principles that guide our local planners. PLEASE NOTE: While we try to stay up-to-date, we cannot guarantee this is the most up-to-date version of the plan. Visit the Islands Trust Website >> for the the latest OCP, including maps and bylaw amendments. 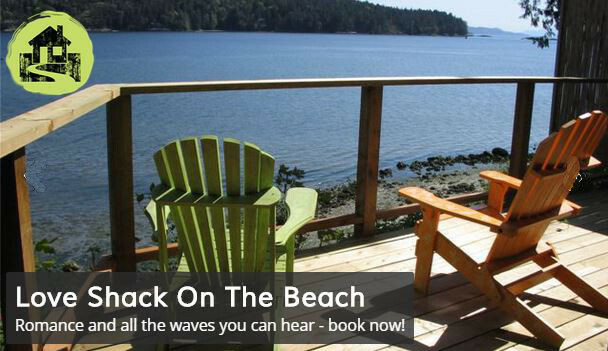 There is lots to do for residents on Salt Spring Island - year round. We have many clubs, societies and more volunteering opportunities than you can shake a stick at.